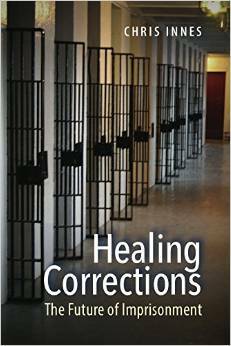 Healing Corrections: The Future of Imprisonment. Unlike critics who see the organizational cultures of prisons, jails, and community correction agencies as a problem that needs to be fixed with simple-sounding reforms, Chris Innes argues instead that these types of organizational cultures are adaptive and a source of strength that can be used to genuinely transform them. He shows how operational priorities, including safety and security, become much more difficult to sustain when organizational cultures become fragmented into disconnected subcultures. To transform an organizational culture, he argues, this fragmentation must be “healed” by changing the patterns of communication that make up the day-to-day reality of an organization’s culture. Innes advocates an innovative approach based on the skills and practices of dialogue. He describes in detail how Dialogic Practice can be used to transform organizational cultures through an implementation process that begins with the leadership and cascades through the organization as an expanding circle, as staff are trained and become engaged in the process. Innes draws upon the research and policy literature in several fields, the contemporary national debate on the role of the justice system in American society, and his own experience during the last forty years in correctional research and policy, and in working directly with correctional agencies. This innovative approach to transforming organizational cultures will interest correctional decision makers; administrators, researchers, and graduate students in criminal justice; advocates; and others who manage mission-driven human services organizations. Chris was Chief of Research and Information Services at the National Institute of Corrections in Washington DC until his retirement in 2014.